Flip a coin. If heads, take two damage counters of of Azelf if tails just take off one. 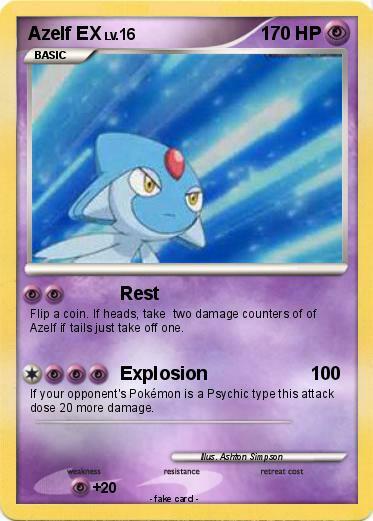 If your opponent's Pokémon is a Psychic type this attack dose 20 more damage.